The organizational meeting of the stockholders of The Mandan Creamery and Produce Company directors met on February 15, 1915 in the Commercial Club rooms. President W.A. Lanterman announced the company would begin operation on March 20th out of the two-story brick Ronco building located on the corner of 4th Ave NW and First Street. Other officers elected included T.A. Cummins; Secretary and Hoy .S. Russell; Treasurer. Hoy S. Russell had worked as a young man the Hess Creamery of Glen Ullin, ND which at the time was one of the largest creameries in the state. He and his friend, Henry Schulte, moved their families from Glen Ullin to Mandan to manage and supervise the operations. 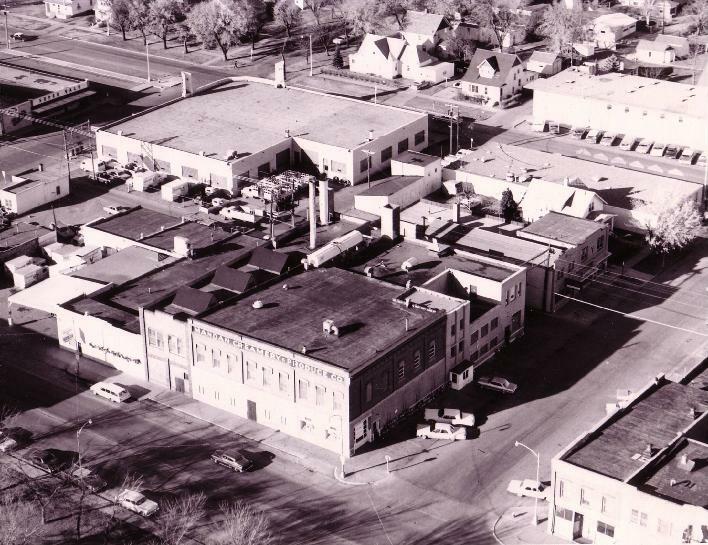 Eventually, the Mandan Creamery and Produce Company, through the foresight and guidance of Hoy Russell became one of the largest butter manufacturers and turkey processors in the United States. 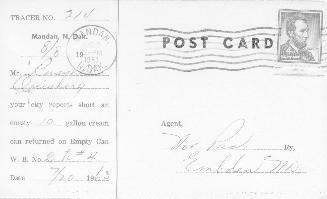 Mandan butter and Mandan turkeys were shipped to and were known coast to coast. With growth in dairy and poultry increasing, plants were established at Dickinson, Minot, Hettinger, Garrison, and Bismarck and Miles City, MT. Around 30,000 pounds of butter was the average year round daily production of the Mandan and Minot plants with peak production of 60,000 pounds daily being reached during the summer months. Milk was pasteurized and ice cream were produced at the Dickinson plant and delivered locally by the creamery for many years. 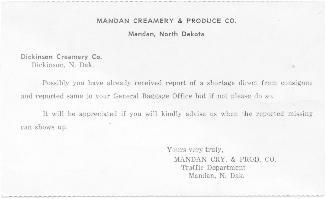 Mandan Creamery and Produce Company employed well over 200 employees by way of its several plants. The success of the company depended on the many dairy production farms which shipped their cream to the company from east of Jamestown to as far west as Billings, Montana and from the northern parts of South Dakota to the northern border of North Dakota. In 1934, a two story brick addition to the facility tripled the amount of poultry and produced handled. The staff to support the expansion grew by 9. The main floor became the truck garage while the refrigeration equipment and new power generation system was installed in the basement. That changes were coming in agriculture became obvious in the 1940s. After World War II there was a steady decline in poultry and dairy production. As a result the Mandan brand turkey production was discontinued after the war when commercial growers took over the raising and processing of the birds. These changes brought about the gradual reduction and eventual closing of the butter and ice cream production and broader expansion into meat processing. Operation at the facility ceased at the location on March 11, 1988. The former downtown location, along with adjacent buildings, were razed to make room for a parking lot which remains today. "Cloverdale," previously used as its local brand name for butter and ice cream products, was adopted company-wide in the 1970s when the operation re-focused its efforts to premium pork meat products. They relocated their operation to a new $6 million plant located northwest of the Seven Seas motel in NW Mandan which celebrated its Grand Opening in May 1988.